The Legionella-Safe series is the user-friendly guardian in legionella management. The Legionella-Safe series is the user-friendly point of entry guardian in legionella management. Not only does it prevent legionella contamination, your organisation is also able to save on energy and labour. With the L-Safe systems, you have pre-filters, UV units, automatic valves, and connecting piping, all on a single frame. Volumes as low as 1.5m³/h and up to 60m³/h can be treated with just a single L-Safe system. This series is also BRL 14010-1 certified and can be applied in both priority and duty of care locations. The L-Safe 200 series consists of a double system. This means that when maintenance is being performed or an error has occurred in one of the UV systems or pre-filters, 50% of the water stream will still be treated. The L-Safe 300 series consists of a triple system. This means that when maintenance is being performed or an error has occurred in one of the UV systems or pre-filters, 100% of the water stream will still be treated. 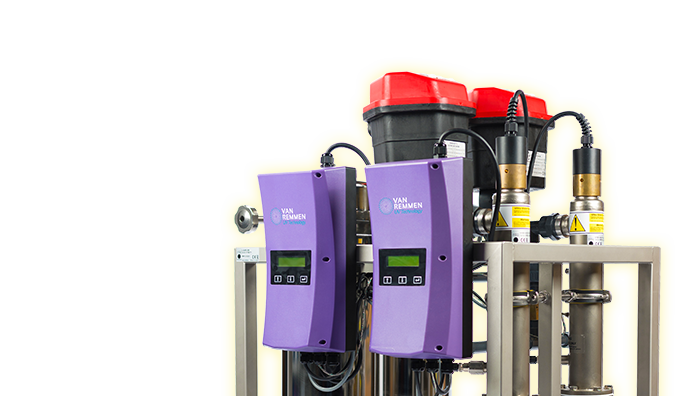 – Complete package with valves, filters, and a UV system.